Durable 2 oz (59ml) polyethylene bottle with 1" (25.4mm) long, .025" (.64mm) needle. Ideal for all fine oiling. 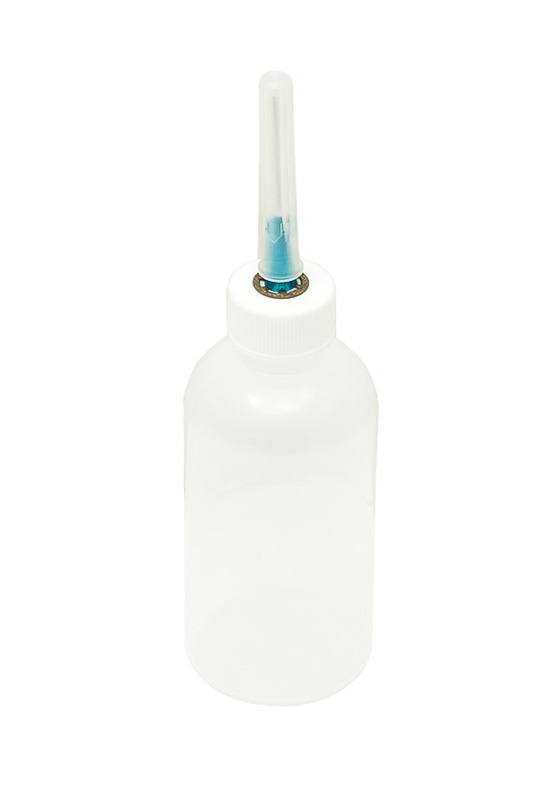 Dust proof cap protects the needle when not in use.